An introduction to Kate Zidar and her seemingly fairy tale story of meeting an Italian sailor named Fabio, fixing up a sailboat, and setting off to adventure on the high seas of the United States' Atlantic Coast. For the past two years, I have been telling my friends about my great new boyfriend who is an Italian sailor named Fabio. More than a few of them listened to these tales with the generous but concerned smile that one might offer an adolescent who is still playing with their imaginary friend well into junior high. I am surprised no one called my parents or reported me as delusional to the authorities. When Fabio and I first met, I was on vacation and he was at work. I was en route to Kuna Yala, an autonomous indigenous zone on the Caribbean coast of Panama, on a solo trip. As it happened, he was captaining a charter boat there, which offered an affordable way to cruise Kuna Yala. We met in the dark at 5:30am in Panama City waiting for the bus out to the jump-off point for the boat. 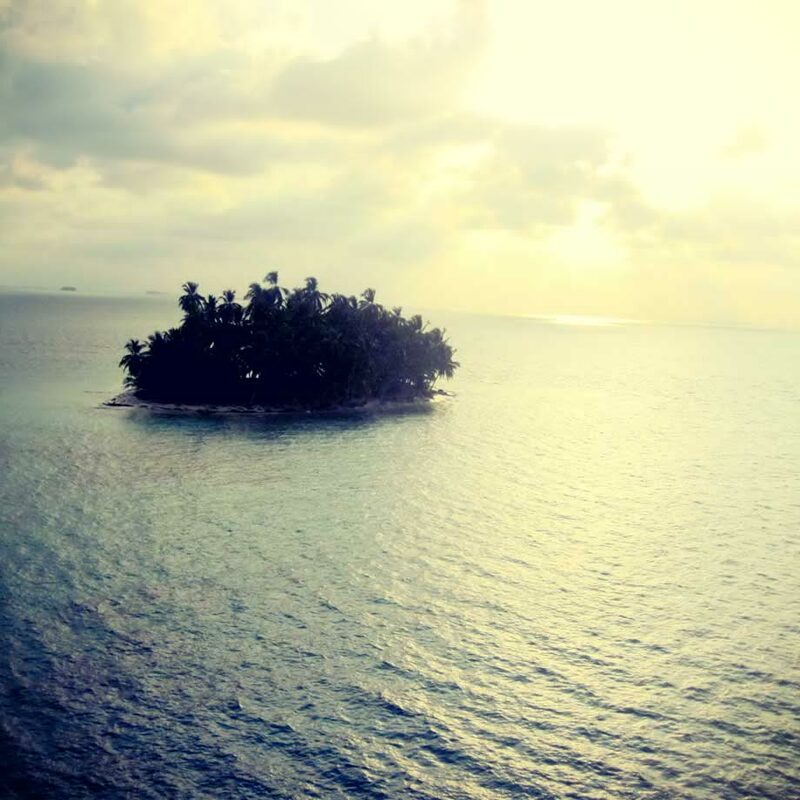 The tiny island of Kuanidup in the Kuna Yala region. I wrote to him as soon as I got home, and he replied with an offer to sail together again, someday. So began a long, strange correspondence between an urban planner fully immersed in NYC-living and a former psychologist now sailing boats in a remote locale, clinging to the mast for a whiff of cell phone reception. 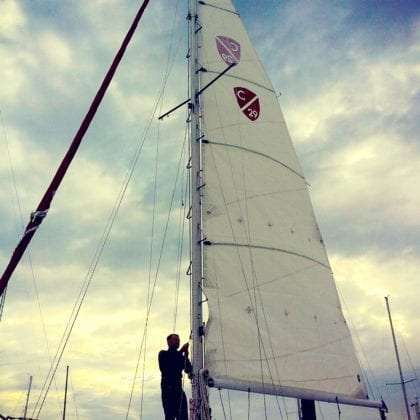 Fast forward two years, and we are sitting together in Fairhaven Shipyard, on the south coast of Massachusetts, in a tiny sailboat that we co-own and have been refitting for the past 6 months. In the next week or so we will begin to move our boat down the US coast to warmer waters in Florida. We finally had a going away party recently that ultimately convinced the majority of my friends that Fabio does exist and we are, in fact, sailing off into the sunset. 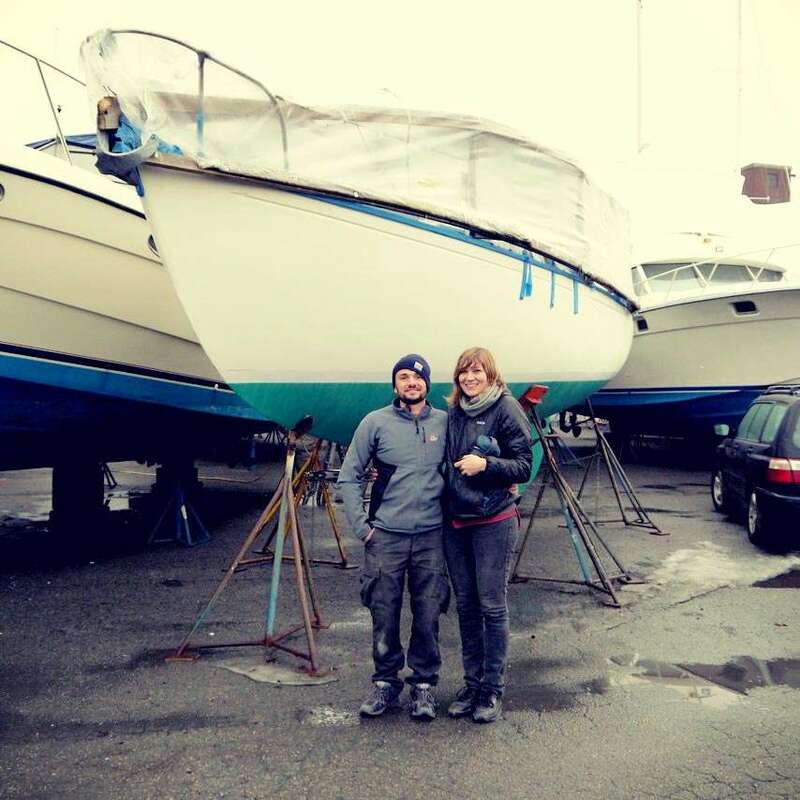 Kate and Fabio standing in front of their new boat, just after purchasing it. Editor’s Note: Stay tuned for more from blogger Kate Zidar as she and Fabio depart Fairhaven and head south along the Atlantic Coast.